PRISTINE & SHOWROOM NEW! A Beautiful 1958 Vintage Hammond C3 Organ & 22H Leslie Package! - Don't Miss Out This One! Will Sell Fast! - 10/1/13 Now Sold! Vintage Hammond C3 Organ & 22H Leslie Speaker Package In Pristine Condition! This Vintage Package Is Truly "The Creme De La Creme! The Best Of The Best! It Plays And Sounds Great!" Church, Music Ministry, Theater, University, Recording Studio, Television Station, Home Studio or Living Room And More. It's A Great Buy & Value! "Showroom New & Pristine Perfect - Classic Hammond C3 Organ Package!" 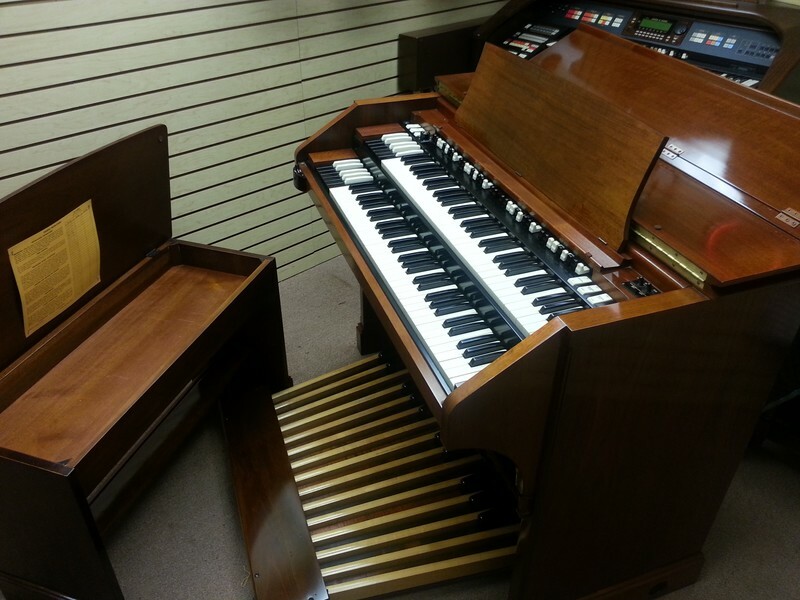 This Vintage Hammond C3 Organ & 22H Leslie Speaker Package Is Exceptional! Plays, Looks And Sounds Great! You Can Own This Hammond Vintage C3 Package For $149.00/Month! - In USA!